Wouldn’t it be awesome if we could pal around with droids just like Luke? 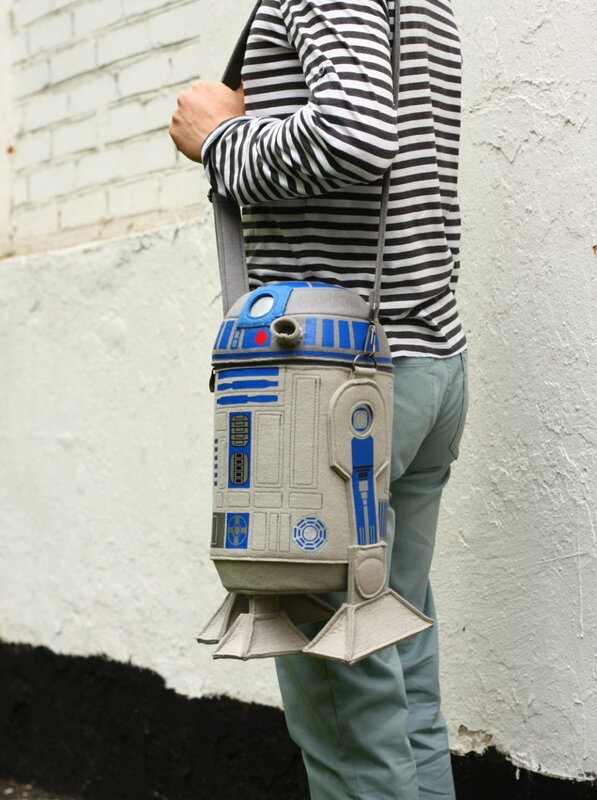 At least women can buy droid inspired purses and hang out with droids that way. If you want your own droid by your side every day, try this cool felt R2-D2 purse from Russia’s Krukru Studio. 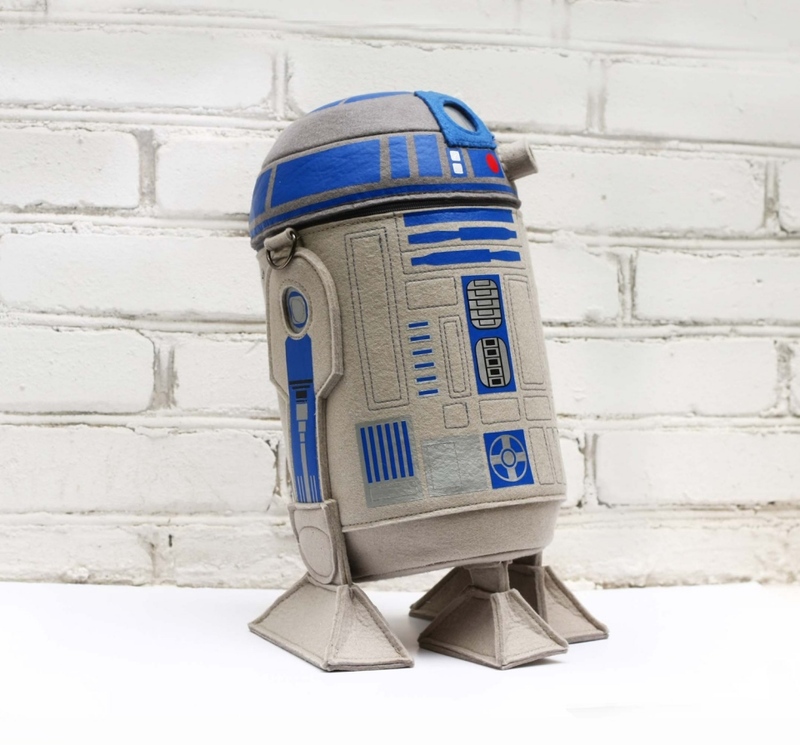 This good looking droid bag is quite detailed and looks to be well made. It measures 17″ at it’s “full height” with an “effective” height of 12″ and it has a diameter of 7.5″. 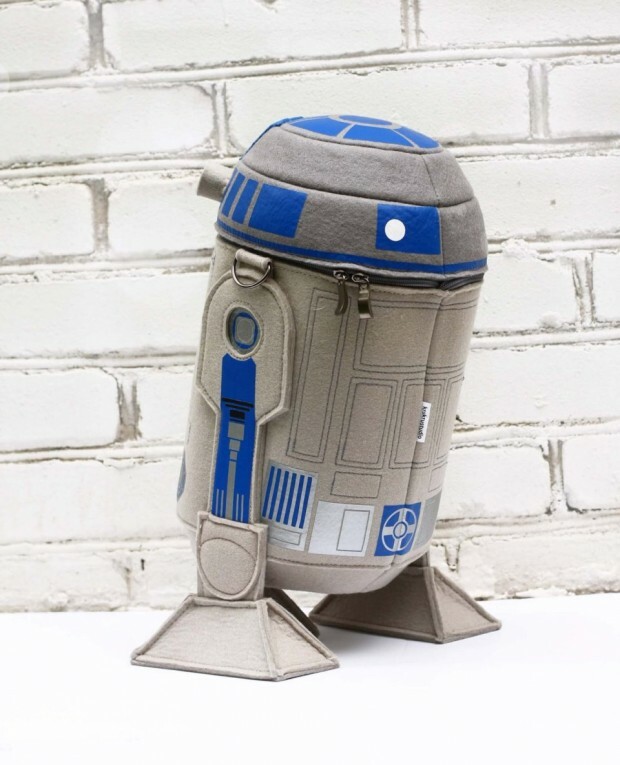 Hide your Death Star plans inside, along with your lipstick and other essentials. It really looks awesome. 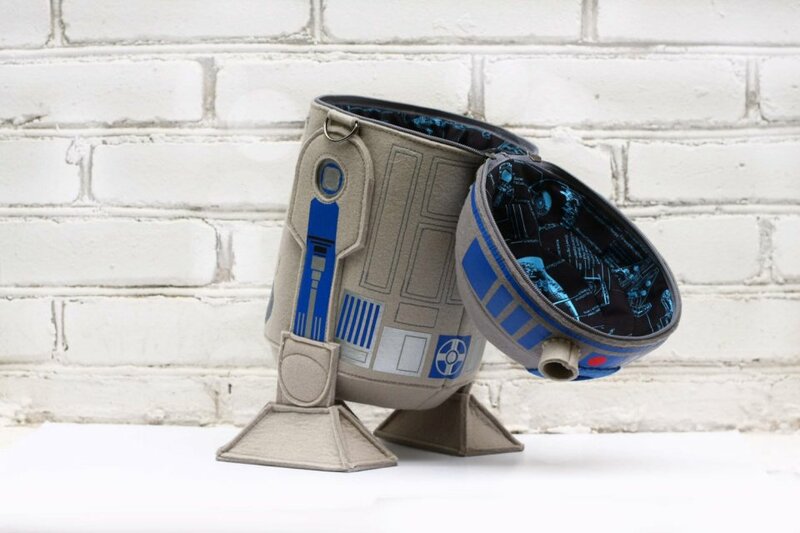 I wouldn’t mind having this just to display.